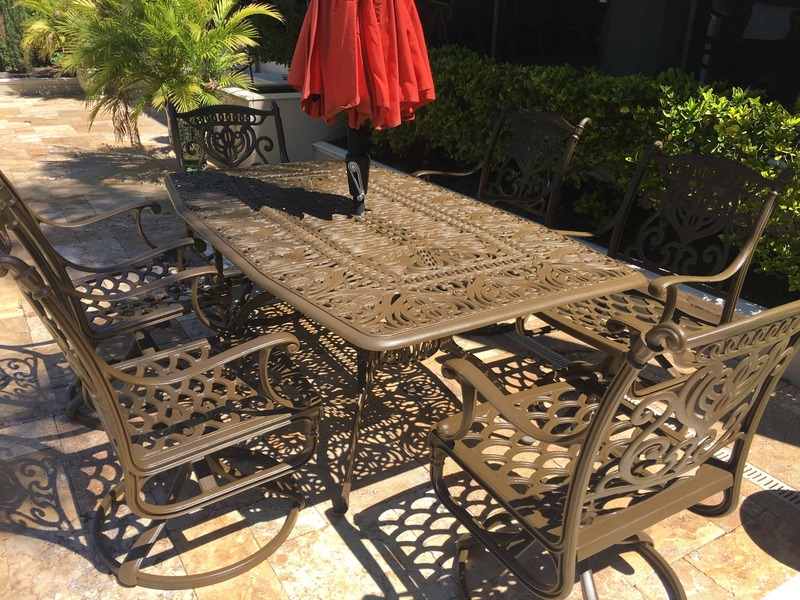 Industrial Painting Solutions now offers same day patio furniture sandblasting and ornamental sand blasting services. We can help you with any small project sandblasting services. Our staff are experts in metal furniture restoration – for both consumers and commercial businesses. If you are tired of looking at your weathered, rusted and beat up patio furniture cast iron bathtubs, wrought iron gates, grills, you name it, let Industrial Painting Solutions remedy your problem. We offer pick up and drop off services for Hillsborough, Pinellas, Polk and Pasco counties. If you don’t have the time or patience to paint your furniture, let the restoration professionals at Industrial Painting Solutions handle it for you. We offer highly competitive rates on our refinishing and painting services. You pick the primer and paint and we do the rest. Any color can be matched to your taste. We offer epoxy painting for a longevity or enamel painting just for looks. Most full service jobs can be turned around in a week or less. Stop being embarrassed to have company over because of the way your furniture looks. Call Industrial Painting Solutions at (813) 478-3802 or send us an email. We look forward to hearing from you.